We are dedicated to designing enclosures that will keep your pool pump quiet, your pool blanket hidden, and add the stylish finishing touches to your dream swimming area. Along with our extensive experience in the installation of swimming pool fencing, the team at Platinum Barriers are skilled in fitting out enclosures for your pool accessories. 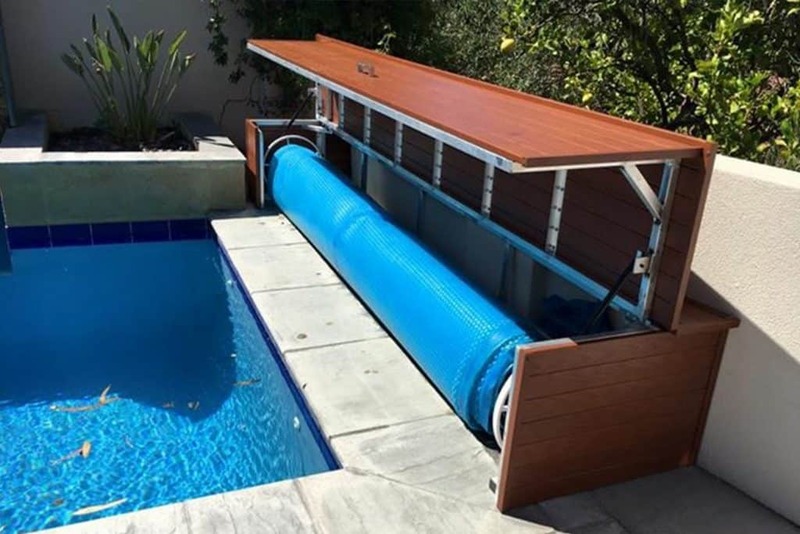 We have access to a great range of products that can be customised to fit the needs of your pool surrounds, even adding additional storage your pool pump enclosure to keep your floaties and chemicals stored away safely! This work can be done inclusively during the design and installation of your pool fence, so you don’t have to worry about hiring multiple contractors for one project. Want to know more about how Platinum Barriers’ work in designing and installing enclosures for your swimming pool? Find out more about our pool pump and blanket enclosure fit outs below, or feel free to contact our friendly team for a free quote and consultation! Don’t just imagine your pool! Bring it to life before you break ground with our state-of-the-art CAD drawings. For a low cost, our team can work alongside you to conceptualise and design your new swimming pool. If you choose to do your pool fencing through us, we will waive the fee! *Cost of $350 if project rejected by customer. The addition of an enclosure for your pool pump has many benefits. Besides reducing the noise from your new pool filter, it also keeps it protected from our wild Perth weather and keeps it out of reach of little ones. Our pool pump boxes are fully customisable, so you have the option of making their presence minimal, or making them larger for additional storage. Our pool blanket boxes are made with high-quality aluminium and designed to hide away your pool blanket without taking up much space. 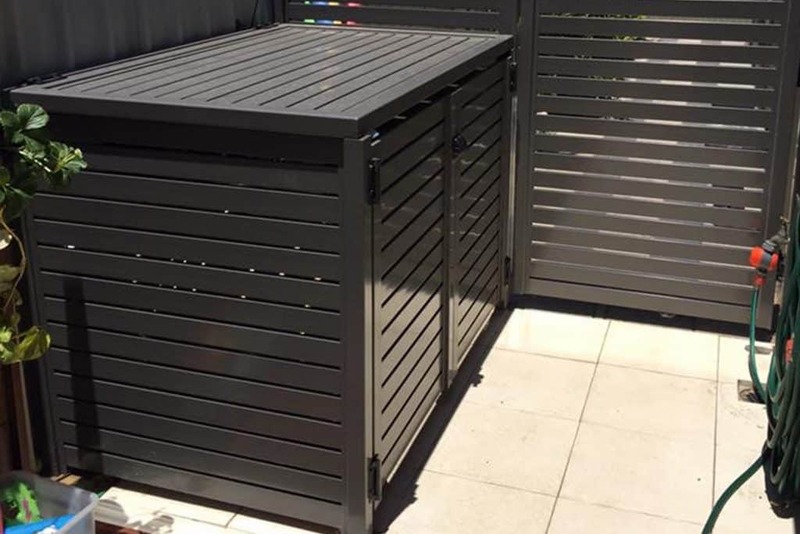 We will work with you to design a pool box to suit your pool area, even creating it as a feature to be used as additional storage or bench seating. Why our pool blanket and pump enclosures? Minimal maintenance - Just wipe down with warm water to clean! Fully customisable to suit the needs of your home and pool area. Ready for your pool to become a reality? Platinum Barriers are excited to hear about the vision you have for your pool area and are happy to offer you a free consultation and quote so that we can offer insight and assistance in getting your new pool started. If you feel like getting started on your own first, You can download our free pool pack today! Our pool pack offers a wealth of information so that you can start ticking the boxes on breaking ground for your new swimming pool. We’re more than just a team that loves what we do! We’re committed to safety and providing our customers with the highest quality service throughout the greater Perth region! Not just another fence installer. Using quality products, we are a team dedicated to providing a valued service, committed to safety, and we care about you and fulfilling your goals when it comes to the design of your home. We’ll never leave your questions unanswered or have you feeling lost in the process. From your CAD drawings to council submissions, we’ll take care of all ticking all the boxes so that you can start enjoying your pool as quickly as possible. We’ve built relationships with some of the most well respected and trusted pool installers, landscapers, and builders throughout the Perth region. We’ve got a team that is efficient, passionate, and knows they’re pool fencing, giving you a faster project completion for your install. There is no need to flick through a catalogue with us. You can see our amazing selection and quality work by visiting our showroom. Reaching out won’t hurt your wallet. We are happy to meet with you to discuss your fencing needs and how the team at Platinum Barriers are the right team for the job.